Rossetti’s poem explores the difficulties of women in the Victorian era, struggling to find a place where they are valued for themselves and what they can offer in a world where – sometimes – men seem to have all the power. Bleakly she asks the question: would anyone notice if I were gone? It’s a heartbreaking lyric poem which speaks to the misery that seems to have haunted Rossetti for a good part of her life. Rossetti’s writing from the perspective of a speaker – the “she” suggests not Rossetti herself but a speaker. The “weariness” is echoed in much Victorian poetry (Tennyson’s Mariana’s refrain “I am aweary”) but the emptiness and dreary nature of a life that is so restricted. Simon Avery calls the word choice “austere”; noting its cold, bleak nature. Middle class milieu or working class grind? Is Rossetti talking about all women, or a particular class of women here? Rossetti herself is relatively comfortable – although the family suffered financial difficulties they were never considered to be working class. Rossetti was also very involved with working class women through her work with ‘unfortunates’ and single mothers, Rossetti is concerned for the plight of all women. Working class women often actually have more freedom in some respects because their financial circumstances dictate they go into the world and work – is this “weariness” actually a little self-indulgent from a middle-class woman given the hardships working women often experience? Does this single speaker speak for herself, or is “she” in fact all women? The metrical changes at the beginning of the stanza emphasise the phrase “doubly blank” to highlight the emptiness of the female world. By writing “she said”, Rossetti also distances herself from her speaker, allowing her the ability to speak/writer more freely while hiding behind the attribution. The duality – “doubly”- holding views that she may wish to express, and allowing herself as a writer the ability to refute her own writing: perhaps a reason why From the Antique was not published within her lifetime. Note her religious views on feminist issues though (be aware the term “feminist” is anachronistic – nobody at the time would have used it, it was really coined afterwards) as Rossetti believed women should be well treated and respected but not equal politically – she was opposed to women’s university education, and signed petitions against female suffrage, for example. Her beliefs stem from the biblical understanding that woman comes from, and is therefore subject to, man: to give her the vote would create a false equality. Women should be prized for their feminine qualities – compassion, morality, support and guidance etc – but are not the same as men and the sexes should be treated differently. The repetition of “I wish” highlights the futility of her desire – the syndetic structure (repeated use of “and”) also has the effect of adding a fairy-tale quality – also highlighting its lack of reality. She would prefer being nothing (note though – not dead merely nothing) than being a woman. Or a drop of water from pole to pole. Separation of body and soul? The subjunctive “Were” is used to highlight the importance of the statement, and the sense of possibility (although this is misleading – there is no possibility here) Rossetti separates the body and soul – prefacing both with the “not” to indicate that there is no separation, perhaps, of the two – the body and soul are both female and therefore neither should exist. The line “not so much as a grain of dust” holds echoes of the funeral service – “ashes to ashes, dust to dust”, calling on religious ideas of the body’s impermanence in contrast to that of the soul. Lacking “dust” and “water”, the earth surely ceases to be – and so, Rossetti’s speaker argues that were her body and soul reduced to dust and water, there would still be no mourning or even notice of their disappearance. The whole second stanza is this conditional imaginary scenario – if I cease to be, reminiscent of Keats’ “when I have fears that I may cease to be” (1818) in which the poet imagines a fear of not leaving his mark on the world, but makes peace with the “wide world” he experiences. While Keats is comforted ultimately by his lack of importance in the world – standing on the edge of it, “alone”, Rossetti’s speaker is not so peaceful. Cherries ripen and wild bees hum. The conditional “were” of the second stanza is answered in this stanza’s opening with a more definitive “would”: “still the world would wag on the same.” “Wag” almost seems dismissive, reminding of wagging tongues, gossip of little consequence. Is this anger and bitterness, causing her to reject the world itself as meaningless (perhaps in some ways more like Keats and his comfort that “love and fame to nothingness do sink”?) or is it an attempt to comfort herself by insisting that the lack of consequence in the world is not limited to her alone? Her obliteration from the world would count for nothing, and nobody would notice or care – but the world would keep on turning if she is not there and is that perhaps an indication that Rossetti isn’t as sympathetic as might first be thought? The speaker turns to nature – as Keats so often does – and identifies the “blossoms”, “cherries” and “bees” – all short-lived, temporary and quick to fade away yet they are more permanent through their repeated life-cycles than she will be. It’s interesting that in this poem there’s little religious comfort to be had other than the eternal nature of the earth. Even the seasons are temporary – they “go and come”; the inversion of the usual collocation has an almost dream-like quality in the rhythm here, as well as enabling Rossetti to complete the “come/hum” rhyme scheme. Would wake and weary and fall asleep. The blunt short line “None would miss me in all the world.” brooks no argument, end-stopped to heighten her sense of defiance – or despair? Rossetti changes the tense from the subjunctive “were” to the modal “should” – a change indicating that there is a decision being made at the end; the “should” is far more final. One woman, or all women? The final line’s actions “wake and weary and fall asleep” has an unsettled rhythm; the “weary” seeming out of place. The change of “weary” from adjective in line 1 (“it’s a weary life”) to verb in the final line “would wake and weary” may suggest a change in perspective. A woman’s life is weary – dreary, boring and dull – but the people in the world “weary” – do they become weary, or weary others? Yet it seems likely that she’s suggesting that, like the speaker herself, others in the world will also find their lives weary. Is this an indication that she’s speaking of women in general – or is it even broader than that? Does she count the rest of humanity as equally worthless, in some regards, and so an individual’s feeling weary or unimportant is in fact itself actually quite selfish and they should realise their place in the wider world? The final “asleep” brings back the previous suggestion of nothingness – the passing of conscious into unconsciousness, the “not” that afflicts the entire second stanza. On first reading, the woman speaker can seem despairing, even suicidal. But towards stanza 3-4 some doubt creeps in – is she being bitter or sarcastic? If the latter, then is there a different purpose behind this apparent frustration? Is she advocating change or acceptance of a woman’s situation? Rossetti uses a relatively complex structure (a lot of her poems have irregular metre) alternating between 8, 9 and 10 syllables and between iambs and anapests which creates a more naturalistic rhythm but also sometimes catches off-guard – the final line seems to be cut short, for example. This irregularity is to an extent off-set against the regularity of rhyme and stanzas; the abcb rhyme scheme leaves each stanza feeling complete, while the regular pacing of the stanzas – four quatrains – also implies a regularity which could reflect the dullness of the speaker’s existence. The poem implies a concern with the duality a woman faces- the inability to see herself as important yet, to ourselves, aren’t we always? Discuss Rossetti’s presentation of relationships in From the Antique. Discuss Rossetti’s use of religious influences in From the Antique. Discuss the use of nature in From the Antique. Discuss Rossetti’s creation of an imaginary persona in From the Antique. Discuss the ways in which Rossetti present the covert and the overt in From the Antique. Like this? 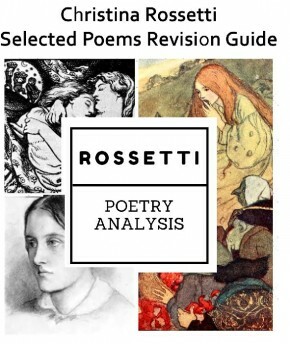 Check out my complete revision guide for OCR’s Christina Rossetti section – with 91 pages, it includes line by line analysis of each of the fifteen poems, plus how to use context analytically, and how to prepare for the exam. This was so helpful thank you!! Thank you for this analysis – it was so helpful. There is so little out there on Rossetti. I’d love to see more. Thanks very much! I’m working on some more stuff at the moment so if there’s anything in particular you’re missing, let me know! Best break down of Rossetti I have seen on the internet! Thank you so much! Have you checked out my post on Soeur Louise as well? Thanks for the analysis – really helped me in an English essay! That’s brilliant! So glad it was useful. Hi Charlotte – this is great – thank you so much. Struggling a bit with the title of the poem…my edition has the footnote ‘the practice of drawing plaster casts made from classical figurative sculptures in order to learn anatomy’. This has confused me even more! Do you have any ideas? Hmm! Not sure what the plaster casts bit is about…Is it the Dinah Roe copy? I’d have thought “From the Antique” is a combination of things. Thinking about the enduring difficulties of female role (so from ancient times/eras – Grecian/Roman etc) which would also link with the idea of the endlessness – women are become the antique by the end of their existence, perhaps? Maybe the plaster cast reference is linked with that, frequently casts from that era also focus on anatomy of the body but not the head/face – maybe a suggestion that the focus is on the superficial rather than the personality/character of the individual? would also maybe then connect with universality of female experience, the many represented by an object which doesn’t have an individuality. 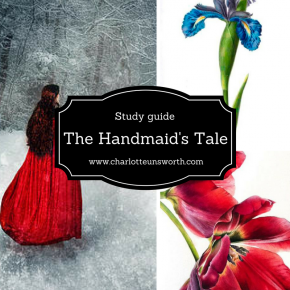 Hi Charlotte, I find your interpretations and analysis really interesting- such a valuable resource for teacher and students of Rossetti. Do you need to refer to language/structural analysis on the new OCR A2 spec ? It isn’t covered in the assessment objectives so i’m a bit confused. Any insight? 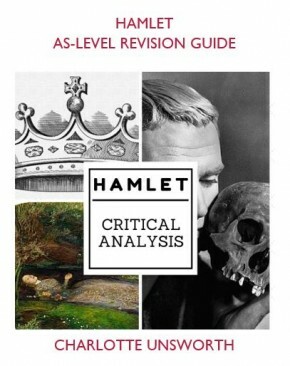 I have your study guide (which comes highly recommended) but just not sure what is needed for the top grades. Thanks in advance. AO2 isn’t specifically addressed on the Rossetti question for A Level – but I don’t think you can possibly answer a literature essay without discussing the language, form and structure used by the writers! Context is the dominant objective (AO3, 50%) which I think can be confusing sometimes, and lead some students towards history-filled essays. The way I approach it is to consider the form – poetry or drama – as part of the context, and consider how the writing is a way of representing the writer’s understanding of their own context, including literary, social and historical. So for Rossetti, I look at the door imagery (for example) as a way that she explores women’s liminal position in society, and move onto consider the changing roles of women in Victorian life.